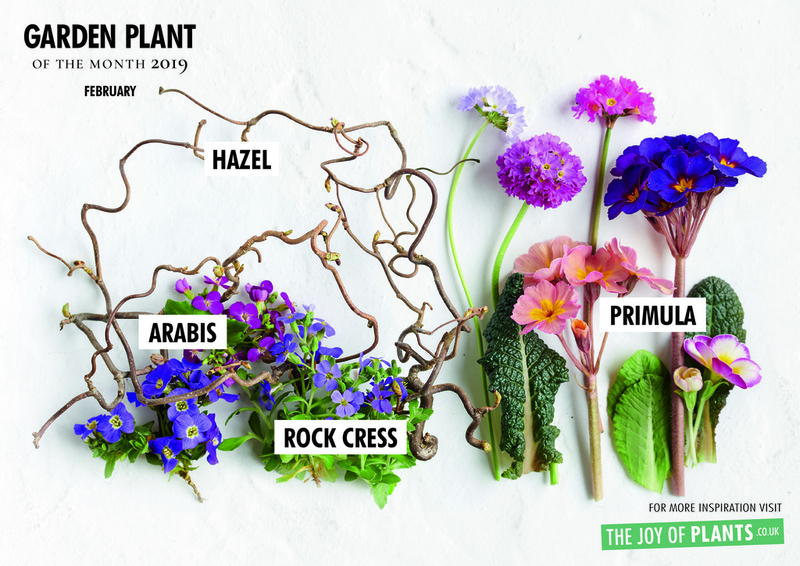 Spring Surprises like hazel (Corylus avellana Concorta'), rock cress (Arabis), primula (Primula aucalis) and Aubrieta are perfect for those who can’t wait to bring their garden to life. Not only do they bloom early, but the latter two provide a second round of flowering later in the year. And hazel offers an attractive green backdrop that changes colour in autumn and reveals the decorative twisting branches in winter. 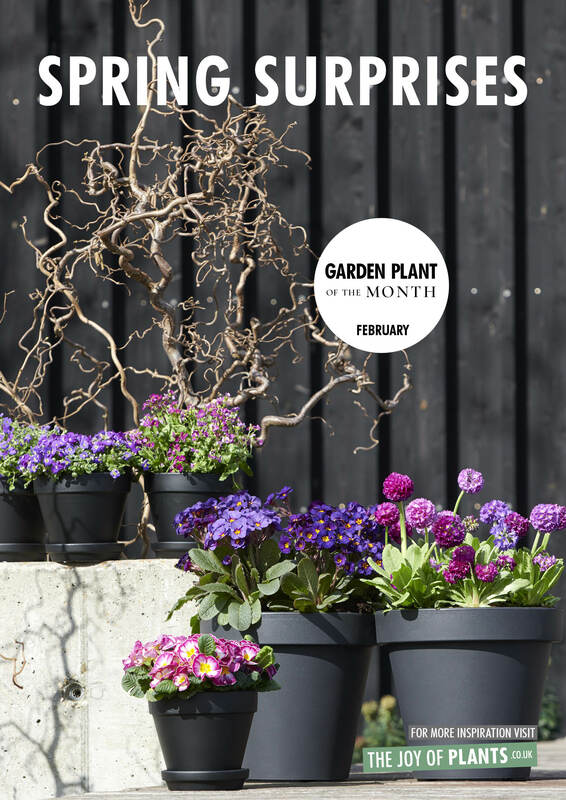 So these garden plants don’t just surprise in the spring, but all year round. All the Spring Surprises are early bloomers and have their roots in the continent of Europe. Rock cress comes from the Caucasus mountains, Aubrieta particularly grows in southern Europe in mountainous regions between rocks and stones. And hazel has been around humans for centuries: not just for the nuts, but also because a host of spiritual protective properties are attributed to the plant. Hazel is usually offered as corkscrew hazel. The unusual corkscrew branches are beautiful to look at in themselves, and the plant flowers on the bare wood with yellow festoons packed with flowers. Only then does the pale green, slightly curling foliage appear. Because corkscrew hazel is a slow grower, it is grafted onto the trunk of an ordinary hazel which serves to boost the growth. Corkscrew hazel can reach a height of 2 to 3 metres. 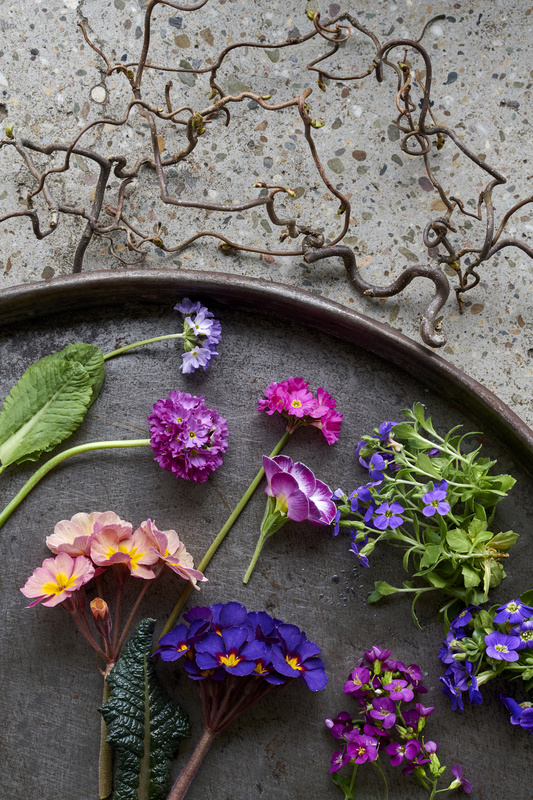 Primula has bright green sturdy petals and cheerful flowers in white and pastels, but are also available in vivid colours such as red and purple. There are also bicoloured cultivars. They all grow to be between 10 and 15cm high, and approximately 20cm across with a warm yellow heart to attract insects. 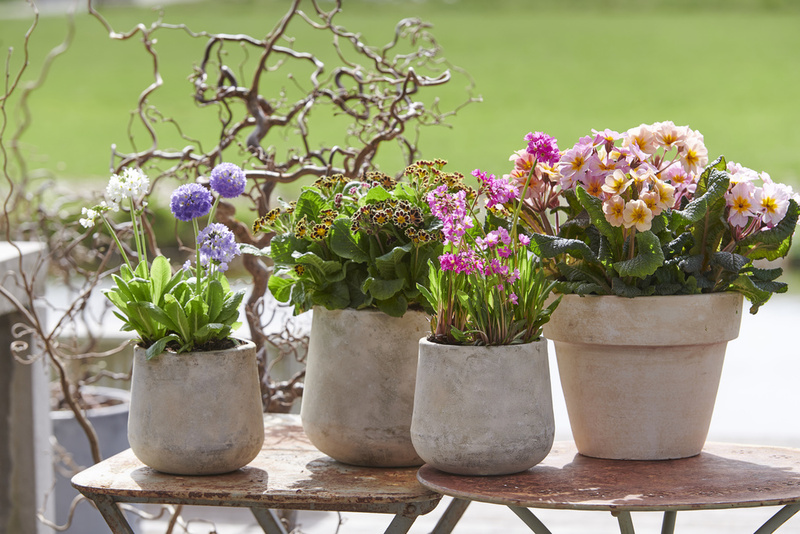 Primula is one of the first plants to flower in the spring, rapidly provides plenty of colour for the garden and patio, and likes to be a bit sheltered. This all-rounder is suitable for use in containers, beds and rockeries. 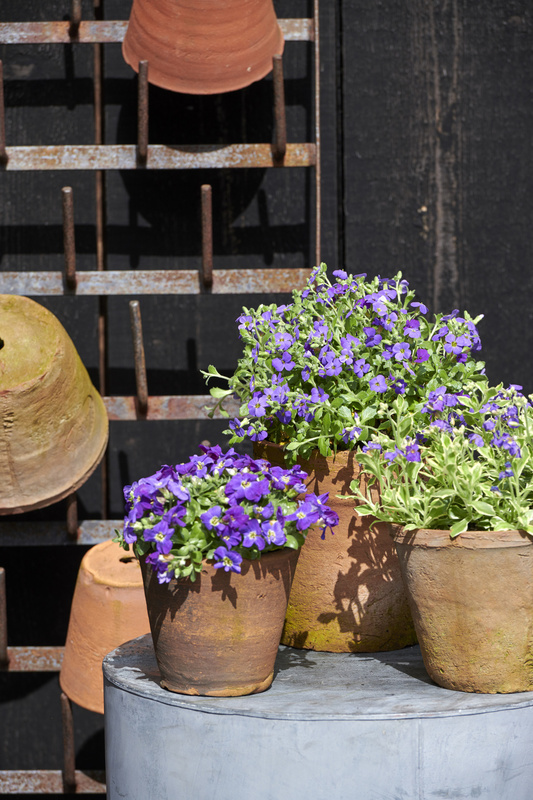 Aubrieta is a strong ground-covering plant, a bedding plant, and also does well in containers. Alongside blue, it also comes in purple, lilac, violet, pink and white. They all like a dry and warm spot and do very well in rockeries, around walls and between paving. They remain low (10-15cm) and primarily grow sideways ( maximum 60cm). Rock cress is particularly offered in violet. The most common species is Arabis caucasica, but there are many species each with slightly different colours or slightly varying leaves. As in nature, they do best on fairly poor soil in light spots. Rock cress combines very well with Aubrieta: the colours complement one another and together they create an extravagant floral carpet for the approach of spring. The dimensions are similar to those of Aubreita. • Pot size and plant must be in proportion. • Rock cress, primula and Aubrieta must be ripe enough to show buds. • The soil should be slightly damp. The plants should not have any yellow or drooping leaves. • If rock cress and Aubrieta have been packed too closely for too long, botrytis can occur, particularly on the leaves where they have touched one another. 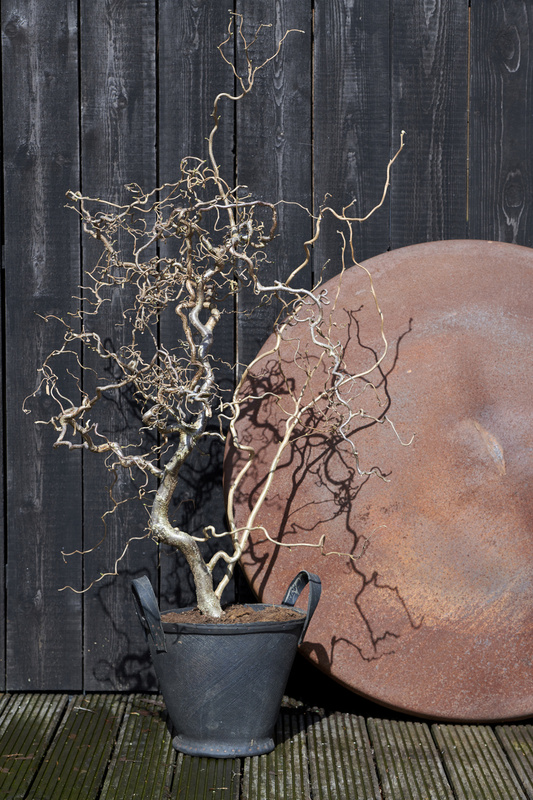 • Corkscrew hazel is offered in potted (larger sizes) and pot-grown (smaller sizes) form. In both cases the plant must be well-rooted and firmly grafted. • All the Spring Surprises like a sunny spot, although they can tolerate some partial shade. • For all three the soil must be well-draining and plants in containers or tubs need more water than those in beds. 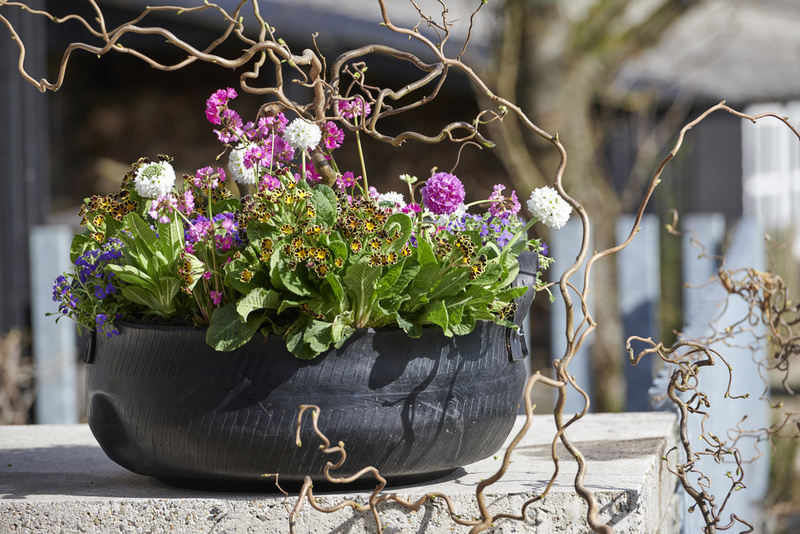 • Give them some space when planting: Aubrieta, primula and rock cress need to be able to develop sideways, and hazel must be able to twist around. • Hazel needs more food than the two ground-covering plants. 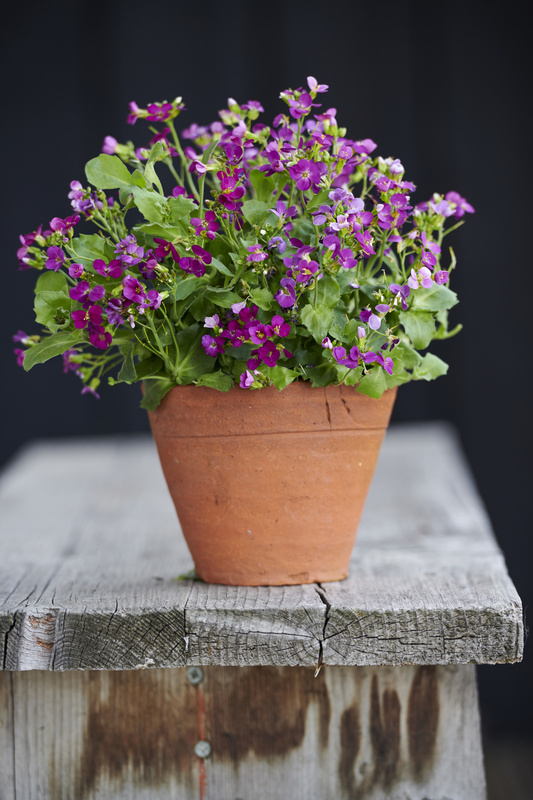 • Prune back rock cress and Aubrieta vigorously after flowering to encourage them to reflower. 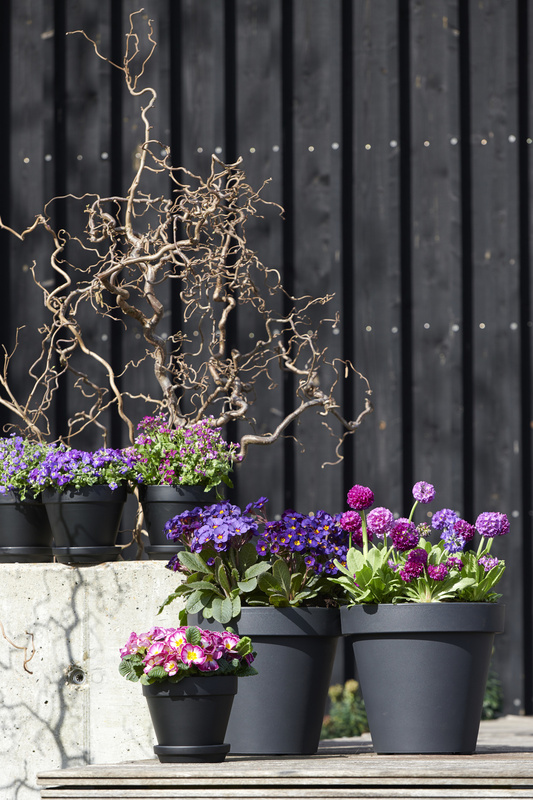 With hazel and primula only remove dead branches. 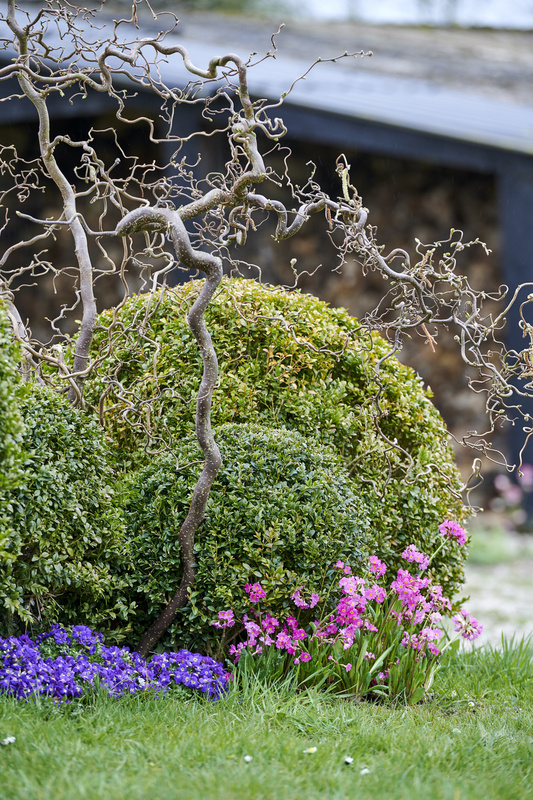 Overpruning will often take away its curls. Because rock cress, primula and Aubrieta are offered as small plants, they are best displayed as a group. Inspiring photo material (that can be downloaded below) can help to give a picture of how the plants will develop. Hazel’s appeal is increased by decorating a couple as spring trees in the run-up to Easter (21 April). 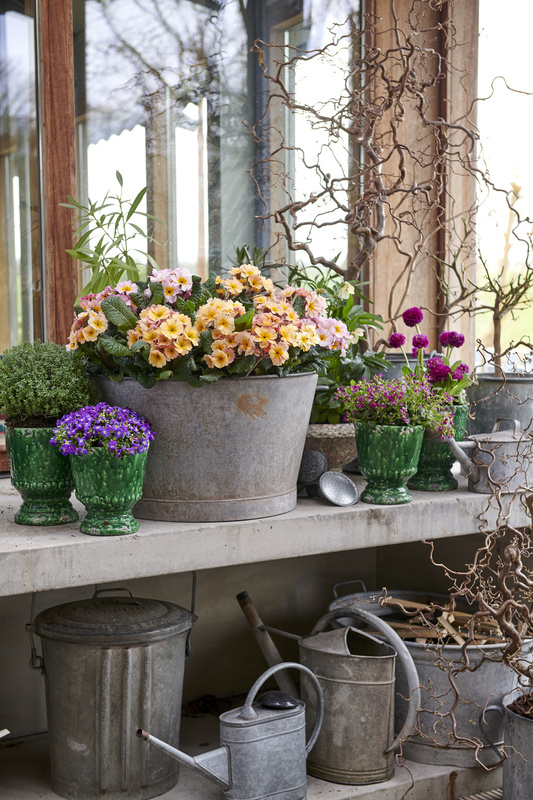 Together with potted bulbs and the now awakened Sleeping Beauties which were the garden plants for January this creates a cheerful foretaste of spring in store. You can download and use the images below free of charge if you credit Thejoyofplants.co.uk. You can download the poster using the link below.